Have you ever had a hankering for a specific type of food but been short on one specific but vital ingredient? 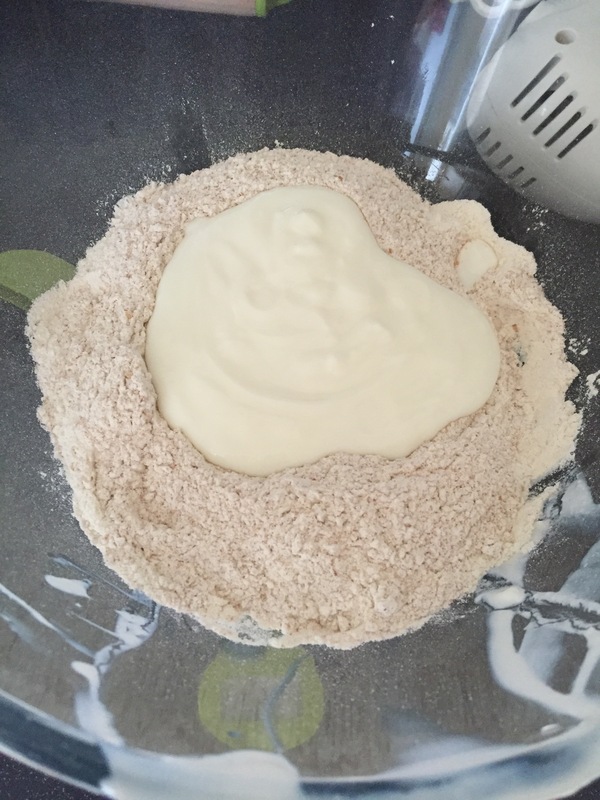 I don’t know how many times I’ve been sure I had enough plain flour only to find that I only had about 100g in the cupboard without knowing how to shrink a recipe. Vexing. Anyway, my recipe alteration skills were seriously put to the test just the other day as we had some buttermilk in the fridge leftover from making my father-in-law’s birthday cake (to our chocolatiest chocolate cake recipe) and I was determined it should be used for soda bread to give our new oven a try. As a side note, our new kitchen is now pretty much up and running and we’ve been taking every opportunity to test out both the double oven and gas hob. 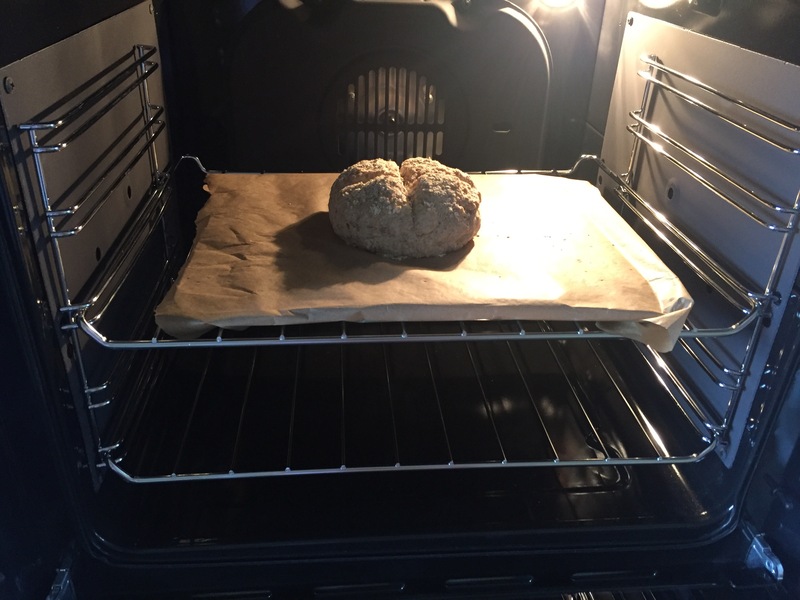 I promised Charles that the first thing I’d bake in that oven would be bread so it just simply had to work out! Anyway, the recipe I found (courtesy of BBC Good Food) called for 290ml of buttermilk, and sadly our remaining stock measured only 220ml. Fiddlesticks. 1. 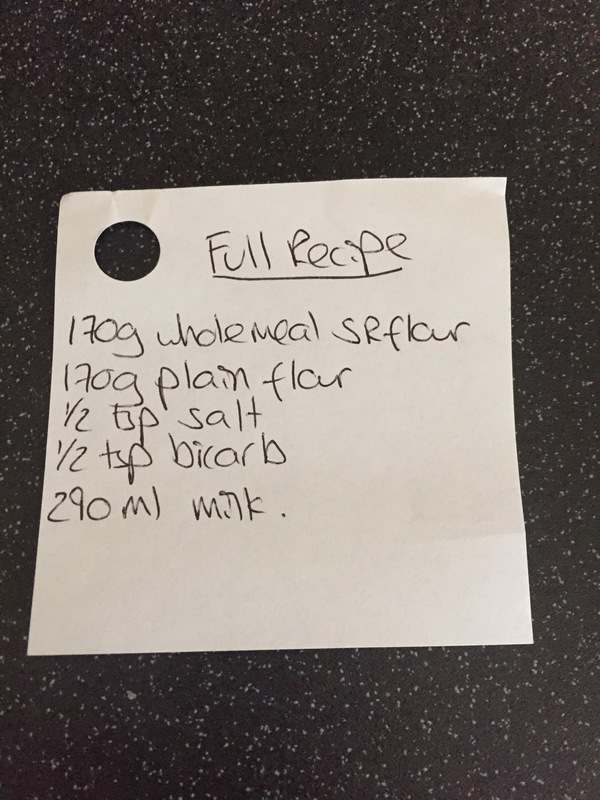 If your recipe is online, write or print it out onto a piece of paper. If it’s in a book, set it in front of you. 2. Weigh out the ingredient you’re short on, and then work out how much you have as a proportion of the quantity the recipe calls for. If your arithmetic is anything like mine, this will be easiest with a calculator! 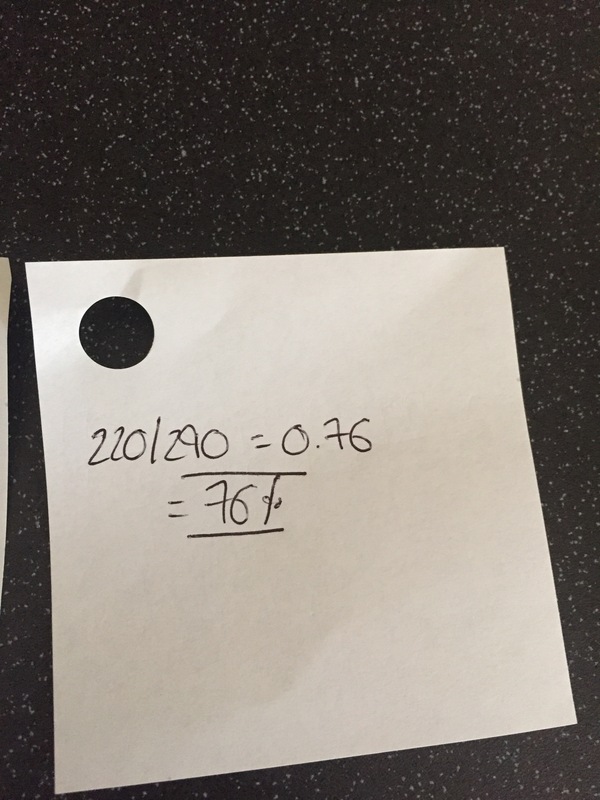 Do this by dividing the amount you have by the amount you need and multiplying by 100, to get a percentage. In my case, it was 76%, so I was going to aim for a soda loaf 76% of the size the recipe called for. At just over three quarters I figured it was with going for, especially as soda bread is best eaten on the first day in any event. 3. 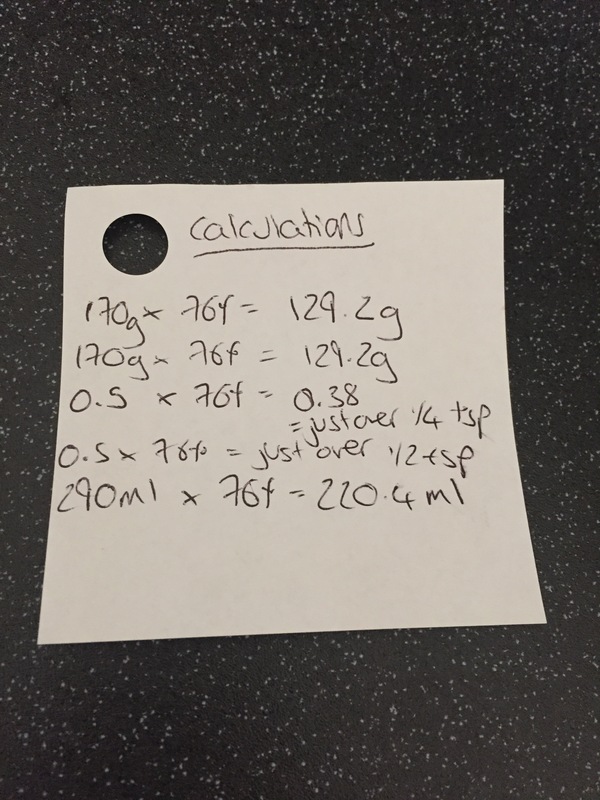 Get yourself another piece of paper and work out how much of each ingredient you ought to use for the reduced recipe by multiplying the full amount called for by the percentage you reached in step 2. 4. 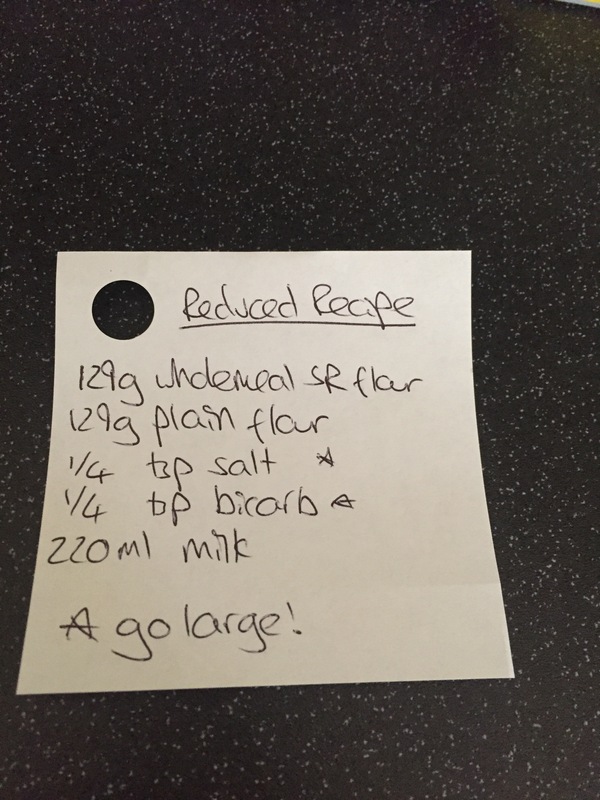 Write out the reduced recipe to keep things neat and avoid confusion (although I would have been much less confused if I had written “buttermilk” instead of ‘milk’). As an aside, I also had the wrong type of flour. 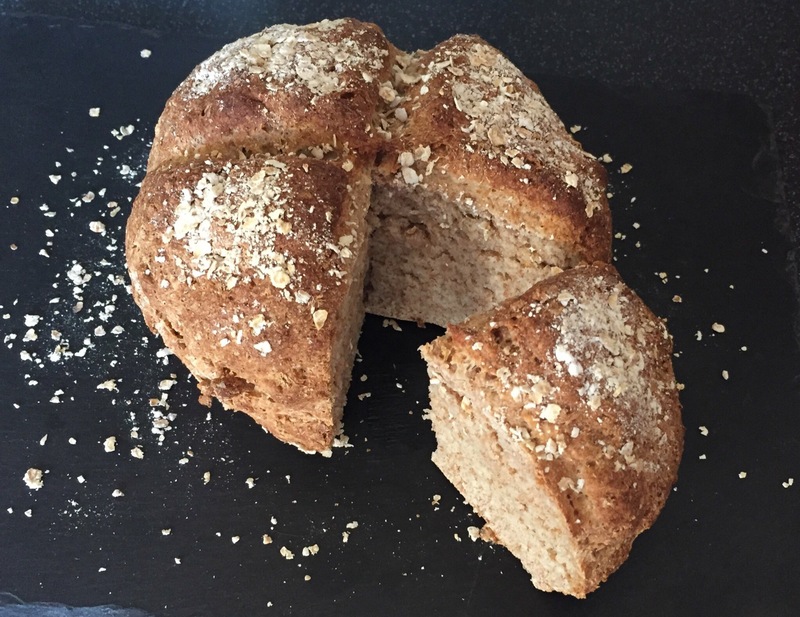 I had plain wholemeal flour rather than self-raising so I used the plain wholemeal and white self-raising flour and it worked out just fine. I also added some oats to the top to add a little more taste and texture and it turned out rather well. Let us know about any shrinking, growing or substitution successes of disasters you’ve had.